Indonesia has a complete geological objects such as outcrops (igneous rock, sedimentary rock, metamorphic rock and pyroclastic rock), mineral deposite, active and non-active volcano also geoheritage as Indonesia precious assets. 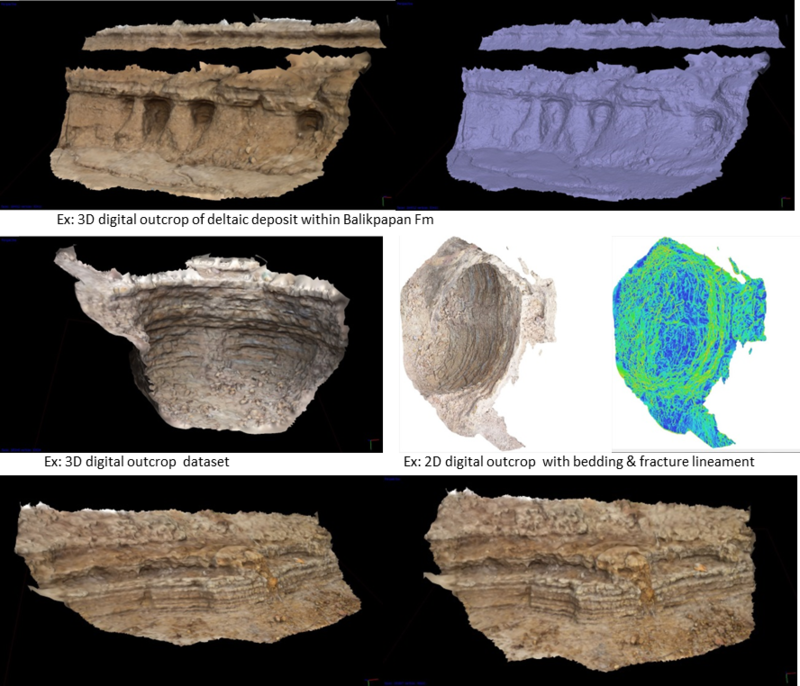 However, there is obstacle that the lack of specific application to record coordinate location of geological objects and Geotage present to solve the obstacle. 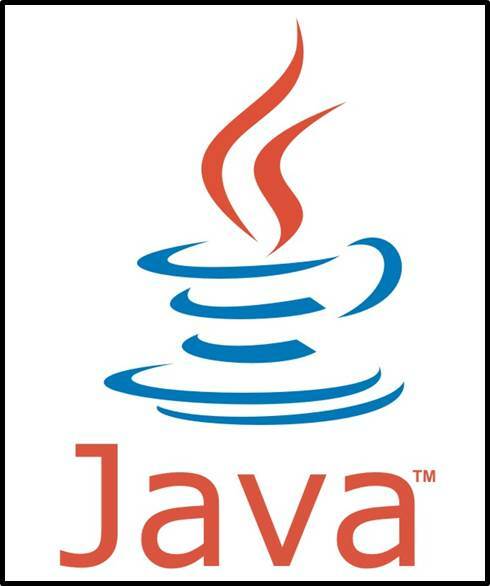 Geotage was built by java programing language with eclipse tool and server database using MYQSL. 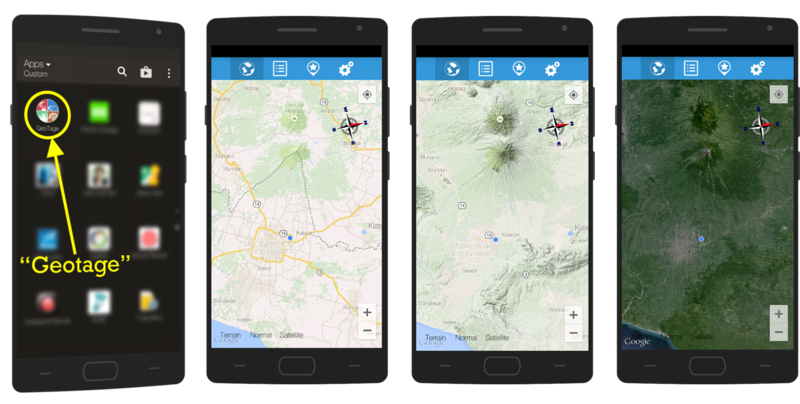 Geotage can be free downloaded in Google Play Store via android smartphone and Geotage run well on android jelly bean to the latest version. 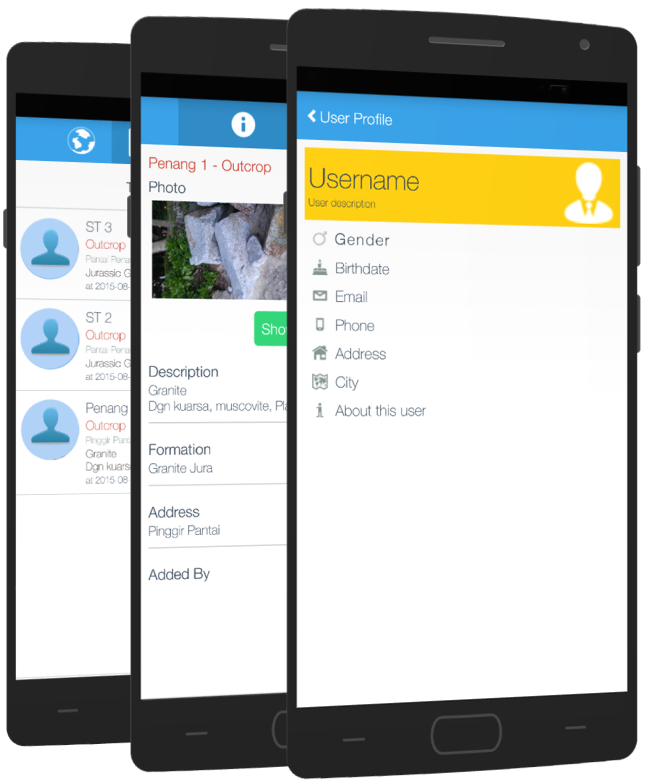 After downloaded Geotage, user have to register for using all Geotage features. Registered user can upload coordinate location, description and picture of the geological object. These data will be stored in Geotage server and can be shared each other users. Then, Geotage user can also access geological object data from other users. Geotage also serves geoscience social media for discussing geological object. Hopefully, all of Indonesia precious geological objects can be recorded in Geotage so they can be recognized and preserved by us. These days, there are a lot of activities in the world that are focused on understanding and/or developing information. Geological Objects/Geological Sites are a kind of information which is essentially the plain facts and statistics collected during the time. They can be used to measure/record a wide range of geological history – both surface and subsurface. a. Berbah Pillow lava as geopark in Yogyakarta; b. Deltaic Sediment outcrop on Samarinda. Geotage aims to facilitate custom-built, web-based systems for share the geological sites information. It is a social networking-enable photo sharing and discussing service for mobile device that can allows users to share with anybody related geoscience objects or sites. Globe Icon : Main screen is open after “Opening screen‟ It’s display google map setting and presenting the location of the user . Geotage is ultimate geoscience objects guide. It finds the objects or outcrops nearby for traveling or looking to discover. This feature is simple, elegant interface with mapping options all over the world. For best display it need a mobile data connection. Menu’s Icon : Menus icon presenting short description of information about heritage or objects updated from geotage user. User could read short reviews and never miss out the heritage or outcrops on the best thing to experience. With just one click on the title, the objects information automatically open.User could read short reviews and never miss out the heritage or outcrops on the best thing to experience. With just one click on the title, the objects information automatically open. Besides this, there is Discussion Hall feature where another geotage user can give any testimonies or comments related to the post. User could check the profile of the geotage user that post the objects by clicking the profile picture also. Setting Icon: Fill in the mandatory fields on the page, since the user need to login or register before use geotage application. These fields include the user’s account, user’s password, besides option on or off notification about the geotage app, in the same way enable or disable to display compass. Furthermore there are option to contact the geotage admin, the term and conditions of the application and geotage’s all about option. 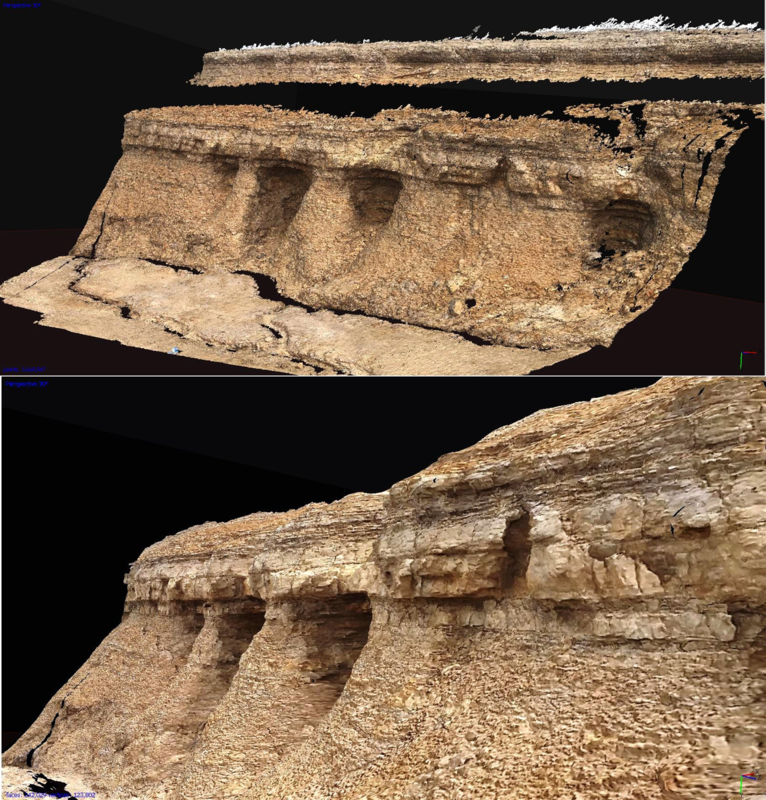 Our team already collected more than hundred outcrops that will be converted into 2D & 3D digital dataset. Later on these dataset can be used for education, professional, and government needs.